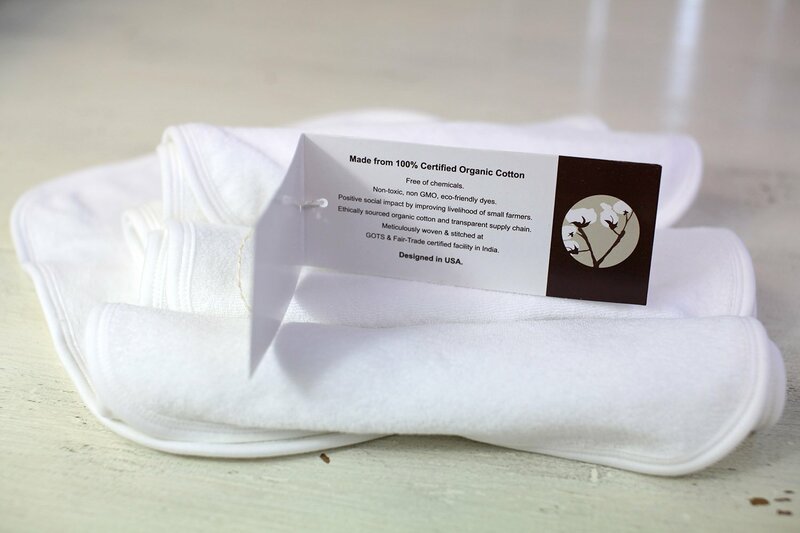 100% pure, natural, organic terry cotton – pesticide chemical & dye free, hypoallergenic, eco-friendly, gentle & naturally absorbent. Superior natural softness of organic terry cotton perfect material for sensitive newborn skin and a gentle solution for eczema, baby acne, and cradle cap. Size: 10″x10″, pack of 5 washcloths. LARGE AND REUSABLE. 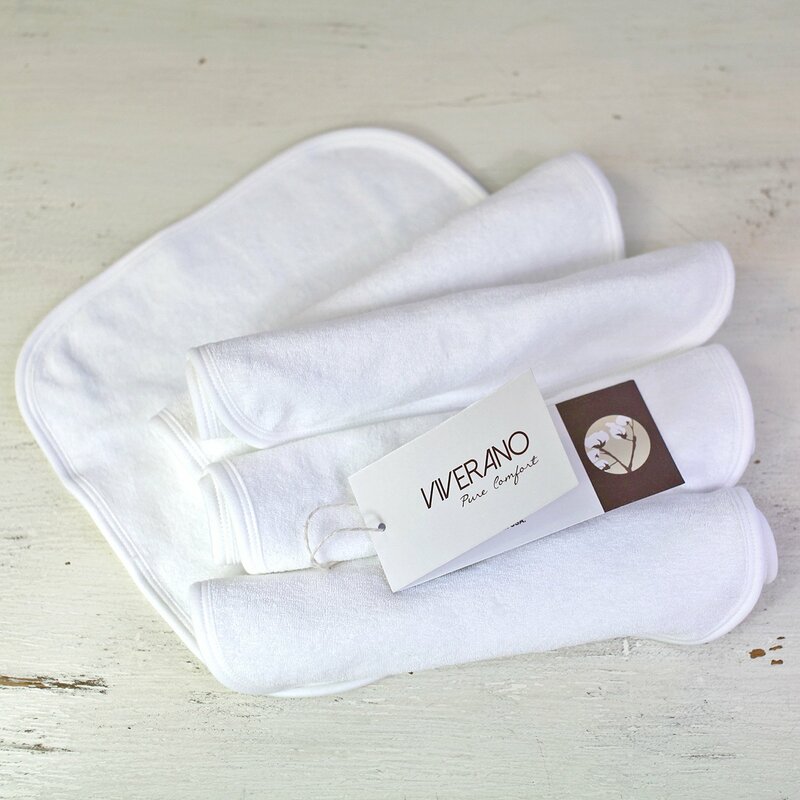 Created from 100% organic cotton, Best for baby’s soft and sensitive skin. All natural & free from harmful dyes and chemicals, completely hypoallergenic. Super absorbent wipes for spilt milk. Best in your drooling and teething babies. Ideal as baby shower gifts. 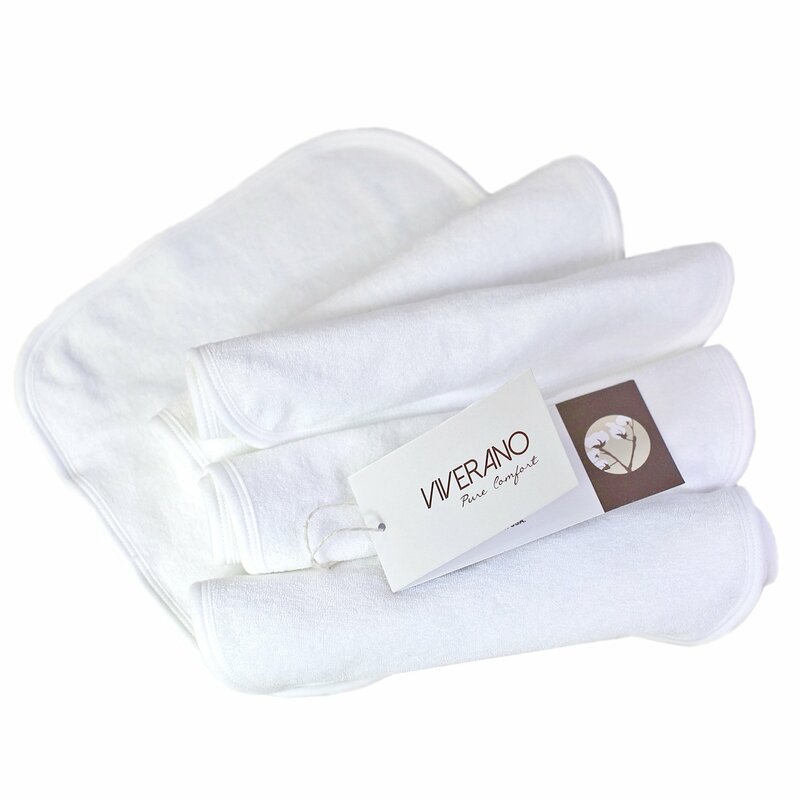 Viverano’s organic cotton washcloths are the most efficient gifts. Moms will appreciate the flexibility of this natural unisex washcloths. Simply the most efficient. Approx. 10″x10″, pack of 5. Made in India with love by Viverano. Ethically sourced, woven and stitched at a GOTS and Fair-Trade Certified facility in India. Experience Pure Comfort. Made with love and care by Viverano. Select CERTIFIED organic cotton for durability, function and health. Benefit from the sustainable benefits of organic purity in these chemical free, non off-gassing products designed for healthy babies and a happy planet. Superior natural softness of organic terry cotton Best subject material for sensitive newborn skin and a mild solution for eczema, baby acne, and cradle cap. 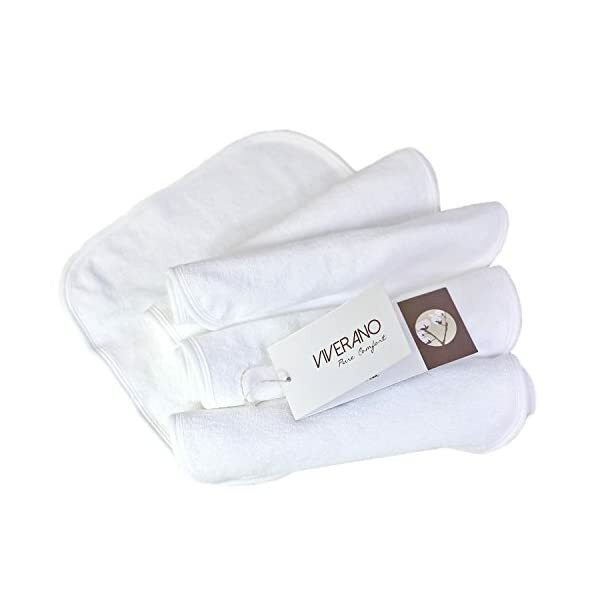 Our organic baby washcloths and towels are great baby shower registry items with a couple of uses like burp cloth, pure cloth wipes, cleanup towel for drool & food milk spill. Ethically sourced, woven and stitched at a GOTS and Fair-Trade Certified facility in India. 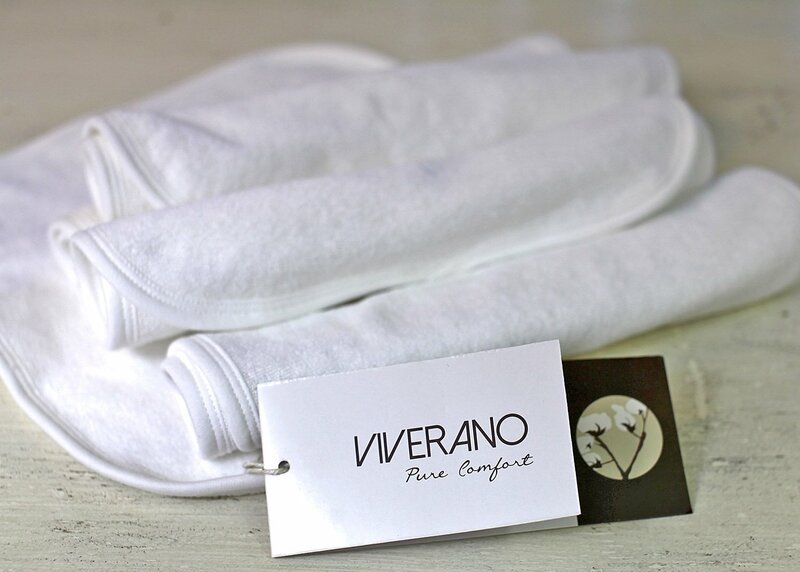 Experience Pure Comfort by Viverano.